Nicole Malachowski was born on September 26, 1974 in Santa Maria, California, and grew up in Las Vegas, Nevada. She was a Civil Air Patrol and Air Force JROTC cadet before entering the U.S. Air Force Academy on June 29, 1992. She was commissioned a 2d Lt in the U.S. Air Force on May 29, 1996, and then completed Undergraduate Pilot Training and was awarded her pilot wings at Columbus AFB, Mississippi, in June 1997. After completing F-15E Strike Eagle upgrade training at Seymour Johnson AFB, North Carolina, in January 1998, she was assigned to the 492nd Fighter Squadron of the 48th Air Expeditionary Wing at RAF Lakenheath, England, where she served until October 2000. During this time, Capt Malachowski participated in Operation Allied Force in Kosovo in 1999. Her next assignment was flying F-15E's with the 4th Fighter Wing at Seymour Johnson AFB from October 2000 to July 2003, followed by service as an Air Liaison Officer to the U.S. Army's 2nd Infantry Division at Camp Red Cloud, South Korea, from July 2003 to March 2004. Capt Malachowski next served with the 494th Fighter Squadron of the 48th Fighter Wing at RAF Lakenheath from March 2004 to October 2005. During this time, she flew 26 combat missions in support of Operation Iraqi Freedom and Operation Enduring Freedom between January and May 2005. She next became the first woman to fly with the Air Force Thunderbirds aerial demonstration team, where she served as pilot of the Number 3 aircraft from November 2005 to November 2007. Malachowski flew her first show in March 2006 and her last show in November 2007. 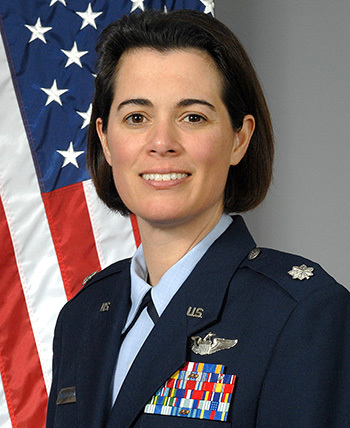 After completing her tour with the Thunderbirds, Maj Malachowski served as Deputy Chief of the Air Force Warfare Center Commander's Action Group at Nellis AFB, Nevada, from November 2007 to June 2008, and then became a White House Fellow in Washington, D.C., where she served with the General Services Administration from September 2008 to August 2009. Her next assignment was as Chief of International Developmental Fighter Programs with Headquarters U.S. Air Force in the Pentagon from September 2009 to October 2010, followed by service as an F-15E pilot and Director of Operations with the 4th Training Squadron at Seymour Johnson AFB from October 2010 to March 2011. Lt Col Malachowski served as an F-15E pilot and Director of Operations for the 4th Operations Support Squadron at Seymour Johnson AFB from March to November 2011, and then served as Commander of the 333rd Fighter Squadron from November 2011 to May 2013. She attended the Naval War College in Newport, Rhode Island, from June 2013 to June 2014, followed by service as Deputy Director, Force Readiness and Training in the Office of the Secretary of Defense from July 2014 to April 2015. Colonel Malachowski next served as Executive Director of Joining Forces at the White House before retiring from the Air Force on December 29, 2017. Nicole is married to Lt Col Paul Malachowski (USAF, Ret.) of Buffalo, New York, who was a Weapon Systems Operator on F-15E Strike Eagles. Nicole was inducted into the Women in Aviation International Pioneer Hall of Fame in 2008. Captain Nicole M. Malachowski distinguished herself by meritorious achievement while participating in sustained aerial flight as an F-15E Pilot, 494th Expeditionary Fighter Squadron, 379th Expeditionary Group, 379th Air Expeditionary Wing, from 24 January 2005 to 1 May 2005. During this period, Captain Malachowski provided combat airpower for coalition forces while flying combat air patrols in direct support of Operation IRAQI FREEDOM. She ensured coalition air dominance over Iraq while also providing on call close air support for coalition ground forces and security for vital Iraqi infrastructure required to rebuild and sustain this war torn nation. Her actions directly contributed to the establishment of security and civil stability in Iraq, thereby furthering the strategic goals of the Global War on Terrorism. The professional ability and outstanding aerial accomplishments of Captain Malachowski reflect great credit upon herself and the United States Air Force. 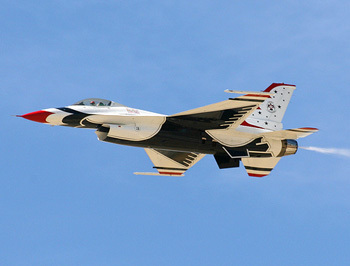 Maj Malachowski flew the Number 3 F-16C with the U.S. Air Force Thunderbirds during the 2006 and 2007 Seasons.